At Seinors Plumbing we are highly experienced in commercial plumbing and we have the expertise to deliver a superior plumbing service for all your commercial and industrial requirements including general maintenance, roofing and guttering, backflow prevention, thermostatic mixing valves, new installations, emergency services, preventative maintenance and more. We complete works on a wide range of commercial and industrial premises such as retail stores, office buildings, factories, workshops, aged-care facilities, hospitals, schools, childcare centres and restaurants. 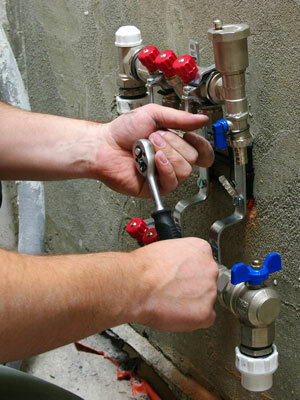 At Seinors Plumbing we are committed to delivering exceptional customer service this involves fast, responsive assistance, a thorough assessment of the job site and then our expert plumbers provide you with a with both short and long term solutions to your problems to ensure minimal disruptions to the operation of your business. And don’t forget about our fixed pricing policy, meaning no hidden costs, our cleanliness pledge ensuring the property is left spotless and of course our lifetime warranty on labour.